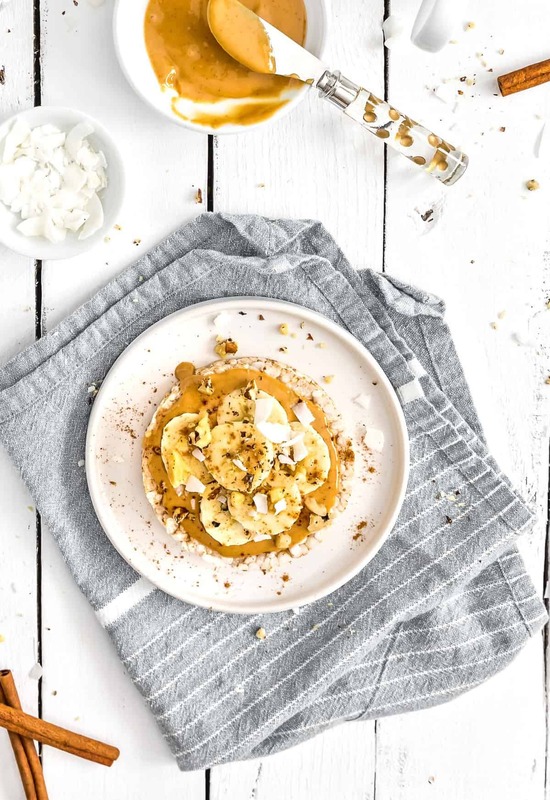 Creamy peanut butter, sliced bananas, chopped walnuts, and coconut flakes with a dash of cinnamon on a crunchy brown rice cake or wrap makes breakfast a breeze. 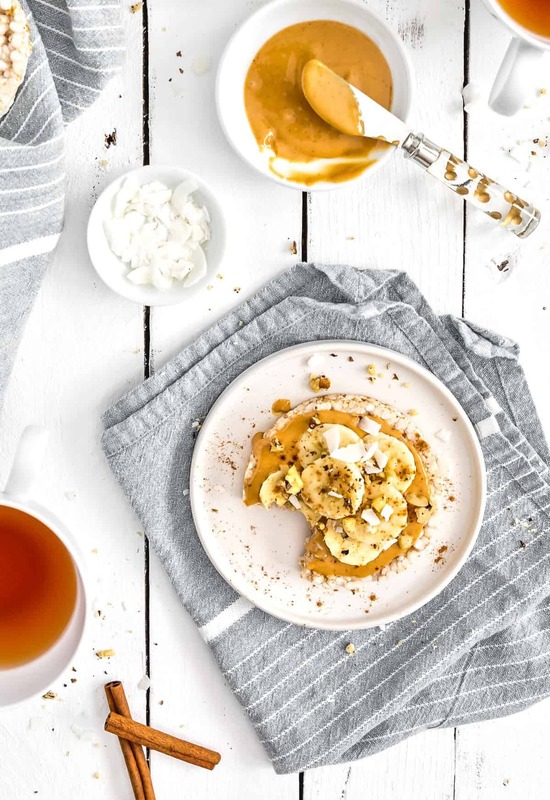 This week’s Whip It Up Wednesday recipe is ideal for those crazy mornings, not to mention that this tasty treat can be made in less than 3 minutes. 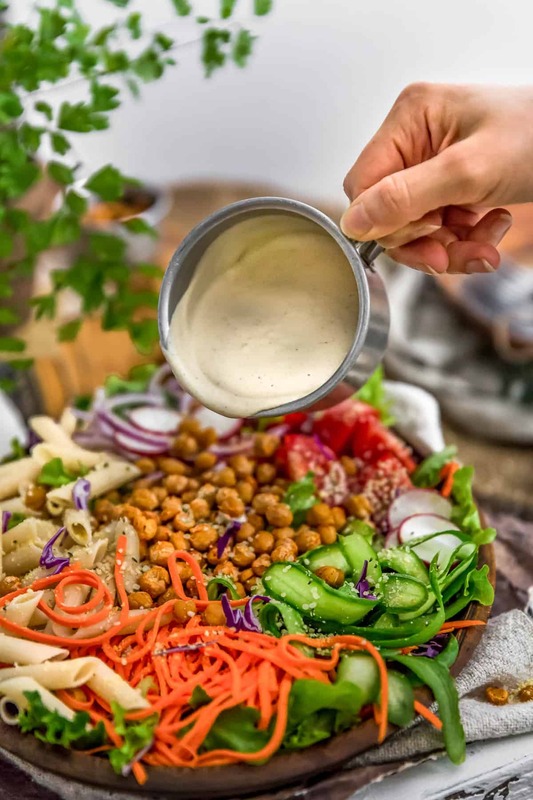 Whole Food Plant Based recipe, vegan, no oil, no refined sugar, no highly processed ingredients and gluten free. This week wraps up our first month of introducing Monkey and Me Kitchen Adventures Whip It Up Wednesday recipes. Every Wednesday, we have been featuring a quick and easy recipe that can be “whipped up” in 20 minutes or less. 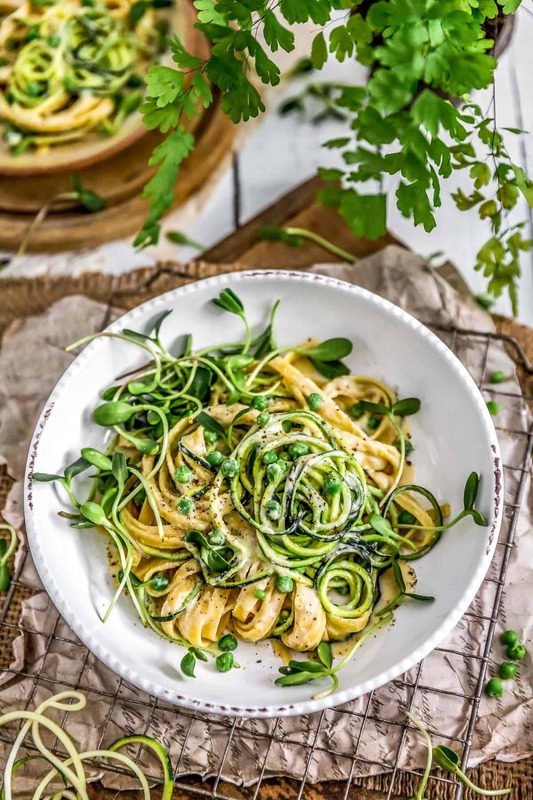 We know most of our Readers lead busy lives and we wanted to help speed things up in the kitchen by creating a weekly recipe that we hope can help simplify your lives. 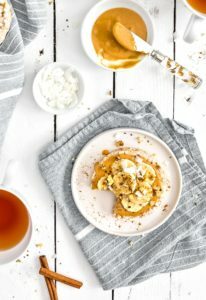 This week’s Whip It Up Wednesday recipe features my all-time favorite “go to” breakfast when I need to make something super-fast, tasty, and satisfying. I like to alternate between Lundberg Organic Brown Rice Cakes and Siete Gluten Free Almond Tortillas. Both are equally satisfying, not to mention utterly delicious! I really enjoy these for breakfast or as a quick snack. Also, if you aren’t gluten free, Food For Life has an awesome Sprouted Whole Grain Tortilla. 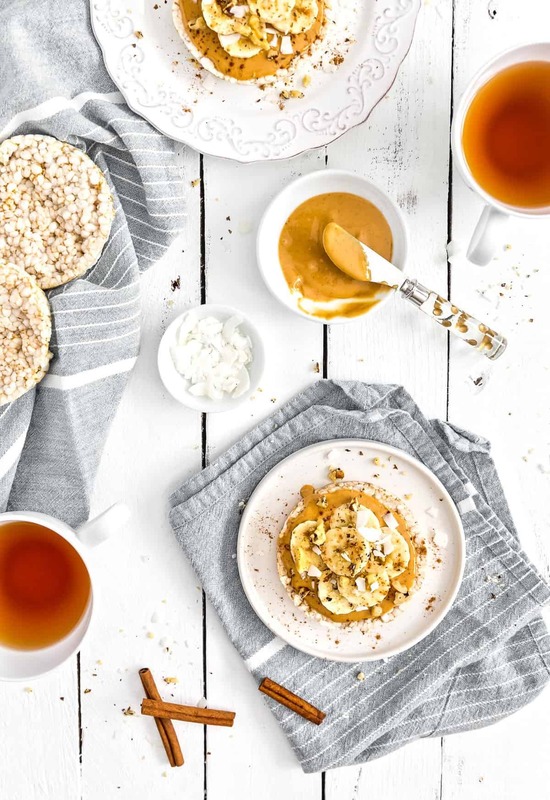 The beauty of a rice cake (or wrap) is that you can use different nut butters/seed butters and toppers. I love a rice cake with peanut butter, sliced bananas and cinnamon while Mom loves the same, but she likes to add chopped walnuts and coconut flakes to hers. She said it kinda reminds her of a Pina Colada. 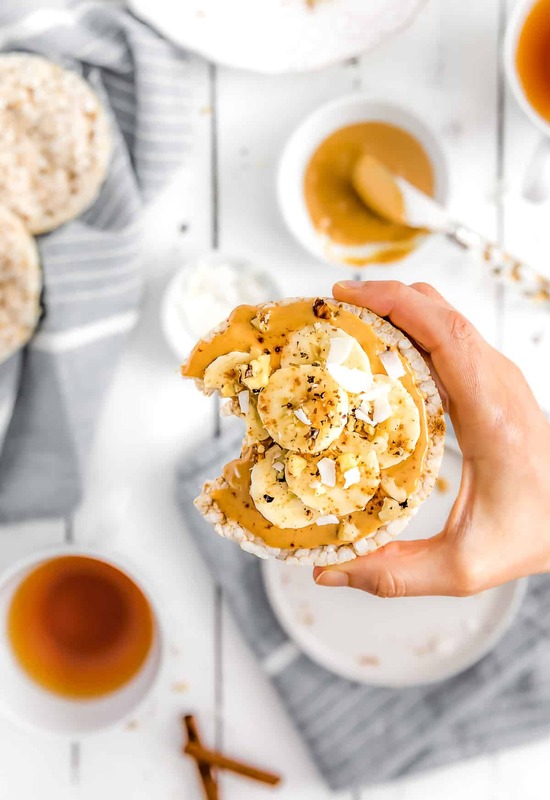 Creamy peanut butter, sliced bananas, chopped walnuts, and coconut flakes with a dash of cinnamon on a crunchy brown rice cake or wrap makes breakfast a breeze. 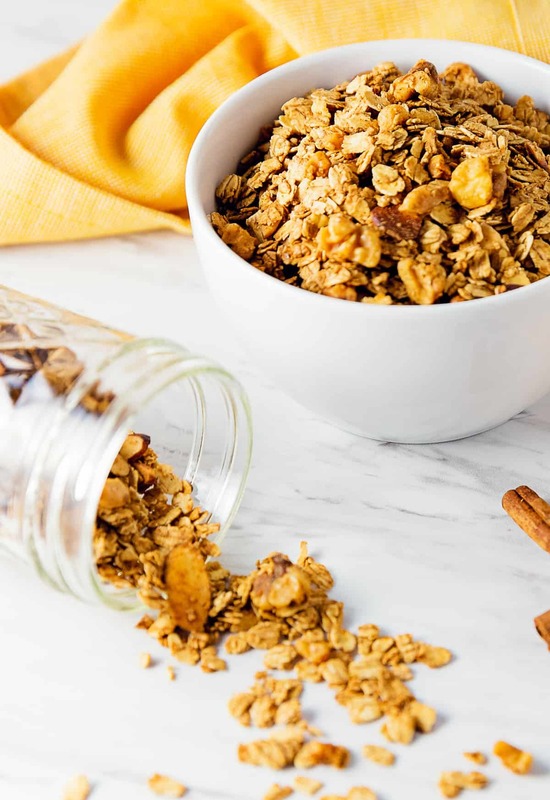 This week’s Whip It Up Wednesday recipe is ideal for those crazy mornings, not to mention that this tasty treat can be made in less than 3 minutes. Whole Food Plant Based recipe, no oil, no refined sugar, no highly processed ingredients and gluten free. Top with sliced bananas and sprinkle with cinnamon and optional toppings. If making with a wrap, roll into a burrito.